With today’s economy, making ends meet is getting harder and harder especially for middle income families. Our working class is finding it difficult to pay all the bills on time and still have extra budget for the small niceties of life. Add to that unplanned emergency expenses that suddenly come up and we have the environment that bred the popularity of Payday Loans. Payday Loans are very popular nowadays. It’s a service that lets you get cash on the same day, up to $1500 and more, even if you don’t have a good credit standing. It’s an unsecured loan which only requires that you are 18 years and above, employed for a certain number of months, and have a checking account. Applying for the loan is so easy that you can even do so online and the money will be deposited to your account in a matter of hours. Some payday loan companies can even give you the cash over the counter if you don’t have a checking account and you can pay them with cash as well. Payday loans are very convenient and an easy source of cash, but you have to remember that you need to settle the loan on your next payday with interest. This is a great way to get some money when you need it the most and you don’t have relatives or friends you can lend you the cash. A person who is capable of paying on their next payday will benefit from having this option available to them when they are in dire need of money to pay off an emergency expense or just to tide them over until the next payday. Unlike bank loans where you need to be in good credit standing before you are even considered for a loan, payday loans do not care if you have bad credit. They give you the loan on the merit of your current job. It also doesn’t require any collateral. A lot of payday loan companies are now online, which is better than branch-based providers – especially if you’re shy about appearing on a loan office where you may be recognized by people you know. Aside from being convenient, it has added privacy to its list of features too. It’s a fact of life that Payday Loans provide a service that is badly needed in today’s economy. Like any loan, you have to pay interest, and payday loans have exorbitant interests as compared to standard bank loans or pawns. This is the reason why some people say that this business is taking advantage of the needs of the population. For a 2-week loan of $100, for example, payday loan lenders can charge you $21 to $25. If you compute that per annum, it will amount to an interest of 500%. 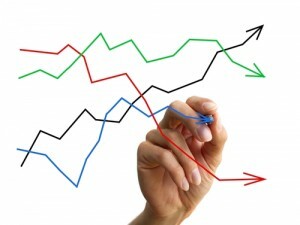 If you default on your loan, penalties and fees can pile up on the top of the continuing interest. This cause many people to be buried in debt. 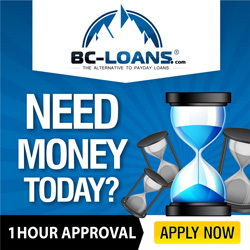 Federal and provincial governments and the Canadian Payday Loan Association are keeping a close watch on the practices of payday loan companies to ensure that borrowers are fully informed of the conditions of their loan and that the loan companies are charging the correct interest rates. Payday loan is an option that any person will appreciate when they suddenly need money and they have nowhere else to turn to. Like anything in this world, it has a good and a bad side. The best way to make it work for you is to fully understand your responsibilities when using payday loans. If you are living paycheck to paycheck, you shouldn’t even be considering this loan in the first place – unless you want to get stuck in a roller coaster of debt. Borrow only what you can comfortably pay.